WHAT: Hosted by 1871 and the Chicagoland Entrepreneurial Center (CEC), the annual Momentum Awards Dinner celebrates Chicago’s entrepreneurial community and recognizes the innovators and pioneers within the city’s tech and business ecosystem. The event will be attended by more than 1,000 of Chicago’s best and brightest tech professionals, corporate leaders, business founders, and civic supporters. 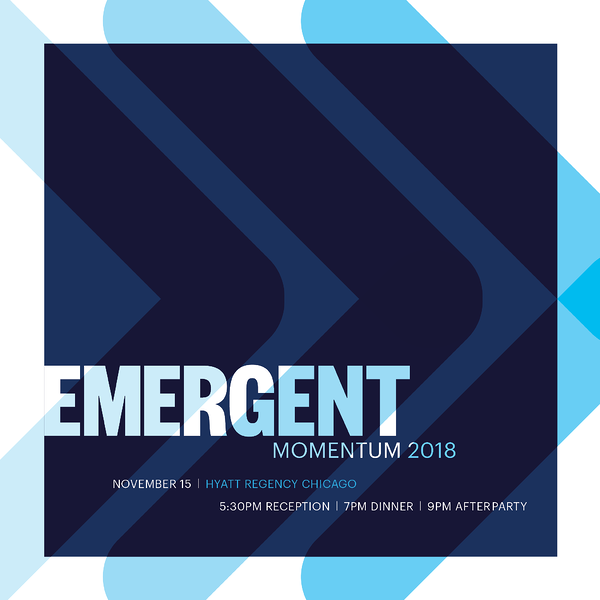 As one of the tech community’s most highly-anticipated events in 2018, the 11th Annual Momentum Awards will observe the theme of an Emergent tech ecosystem, which includes the emerging technologies, leaders, and opportunities that embody the creative potential of change and innovation. These exciting pathways of possibility are illuminated by the brightest minds and blazing visions of the Chicago entrepreneurial community. The Corporate Champion Award: Recognizes a corporation or business that has made an impact through community focused efforts throughout the Chicagoland area. McDonald’s was the recipient of last year’s Corporate Champion Award. The Chicagoness Award: Bestowed upon individuals or companies that exemplify the values of the Chicago entrepreneurial community, which include hard work, inclusion and commitment to collective opportunity. 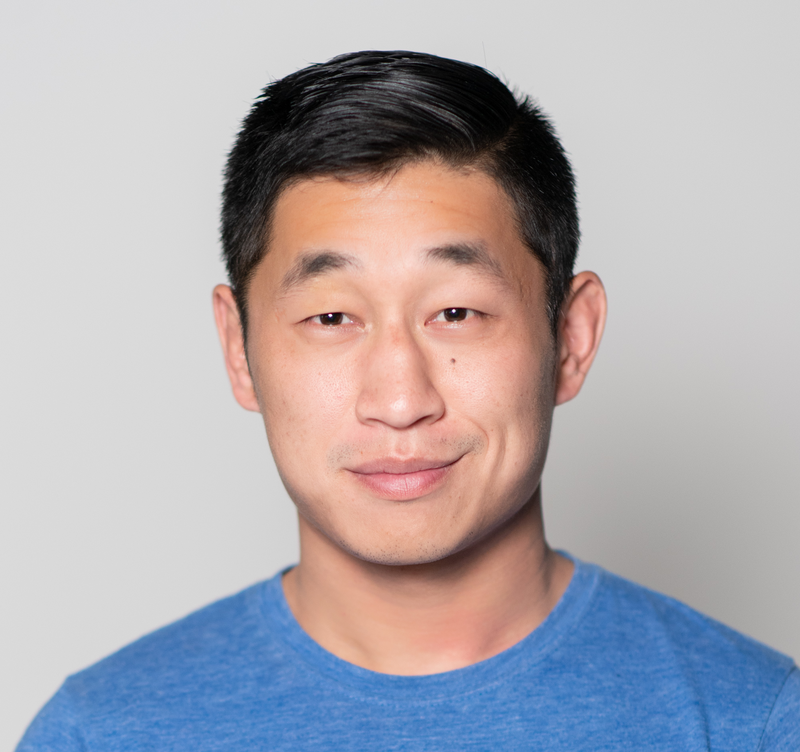 Past recipients include Impact Engine (2015) and Outcome Health (formerly ContextMedia) Co-Founders Shradha Agarwal and Rishi Shah (2016), and music artist Lupe Fiasco (2017). The Entrepreneurial Champion Award: Given to an individual entrepreneur to recognize his or her personal dedication to the Chicago tech community through mentorship, civic leadership and economic contributions. Past recipients include James O’Connor, Jr., Jai Shekhawat, Jeff Aronin, J.B. Pritzker, Richard Melman, Tom Ricketts, Gordon and Carol Segal, Michael Ferro, Brad Keywell and Eric Lefkofsky. The Momentum Awards: Recognizes companies that are on track to become the next great companies to emerge in Chicago. The awards are separated into two categories: The Momentum Award, which recognizes a company more than five years old, and the Rising Star Momentum Award, which honors a company less than five years old. Past recipients of the Momentum Award include Avant, kCura, Braintree, GrubHub, Eved, SAVVO, @properties, and most recently, tastytrade. The Rising Star Award has been previously awarded to Civis Analytics and Tock. HISTORY AND BACKGROUND: The growth of 1871 has been in a constant state of acceleration since its doors opened on May 2, 2012, after only five months of construction in a raw space on the 12th floor of The Merchandise Mart. Welcoming 60 member companies and 145 entrepreneurs in a 50,000 square foot space, the original 1871 space was the seed planted by the Chicagoland Entrepreneurial Center that would grow into the massive enterprise that it is today. 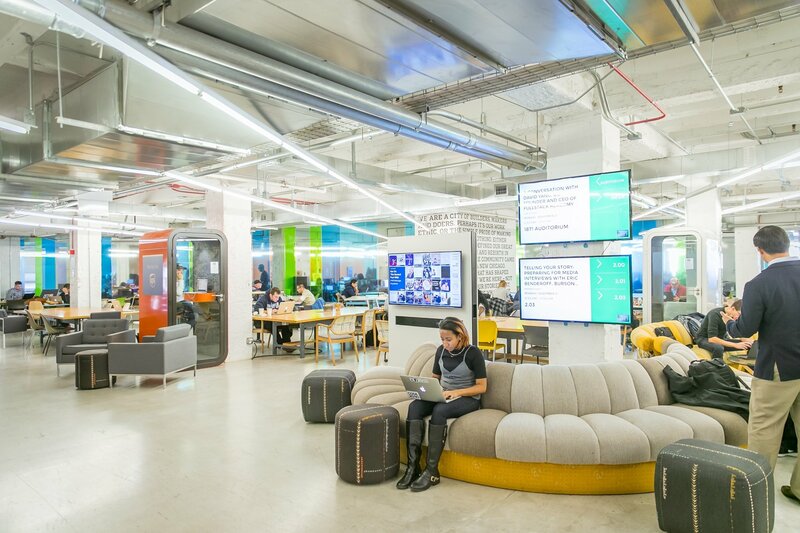 In five years, 1871 has created an estimated 8,000 jobs, and jobs, fostered the growth of nearly 750 alumni companies, and continues to support ~500 companies and thousands of entrepreneurs; 1871 has also helped transform The Merchandise Mart by adding many tech jobs in the historic building. 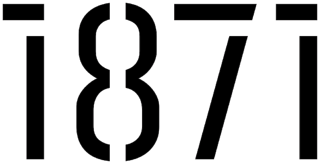 1871 supports its member companies through a host of resources, including access to hundreds of mentors, workshops, panels with top tech leaders, a state-of-the-art space and staff that encourages collaboration and community building. It has also been ranked as the top university-affiliated tech hub in the world by UBI Global as a result of its strong partnerships with seven area universities. 1871 maintains partnerships with some of the world’s largest corporations, including Bosch, Microsoft, JPMorgan Chase, Google, Comcast, and BMO. 1871’s evolution has also contributed materially to the diversity of entrepreneurship in Chicago. Through its WiSTEM program for women-led businesses and its joint Latinx Incubator with the Illinois Hispanic Chamber of Commerce, 1871 is encouraging and supporting innovation by encouraging greater representation and inclusion in the tech economy. Every facet of 1871’s operations, from individuals chosen to speak on panels, to minority suppliers, and even its own staff, is reflective of the city of Chicago. Interested in attending the 11th Annual Momentum Awards Dinner? You can register to attend the event here.